Constructed for a lifetime of boating. At Sunchaser, decades of boat-building experience have taught us one thing for sure - if you want to see true quality, simply take a closer look. Count the fasteners. Note the gauge of aluminum. See the space and versatility that a well-constructed pontoon has to offer. Notice the optional third tubes and high horsepower capacity that make it possible to do whatever you want on the water. In short, look at the detail and you'll see everything you need to know. 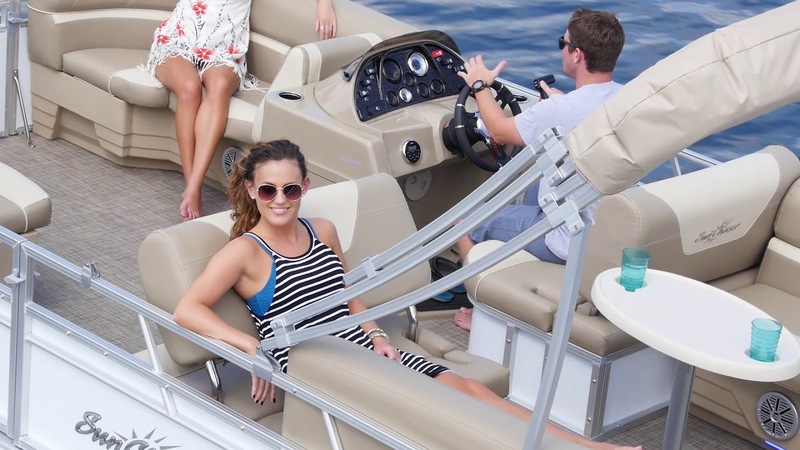 Whether for tow-sports, cruising or fishing, you know you'll be able to relax in a Sunchaser pontoon. Because, it was built for quality.